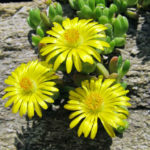 Delosperma nubigenum forms a low mat of succulent leaves, bearing loads of small starry yellow flowers in late spring. The evergreen leaves are thick, oblong or linear, and fleshy. Each leaf is 1.2 inches (3 cm) long and one 0.25 inch (6 mm) wide. They are fat and succulent thus making them drought tolerant. 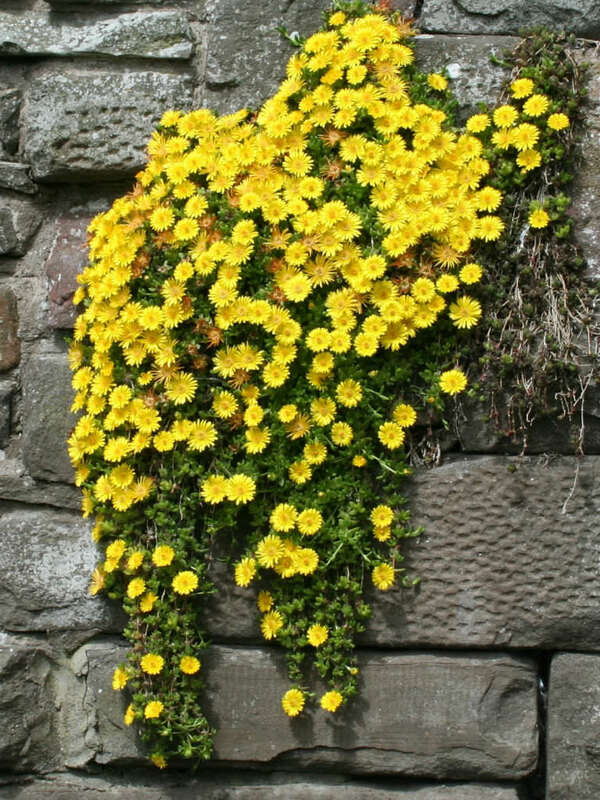 This groundcover only grows to 2 inches (5 cm) tall but can spread as wide as 36 inches (90 cm). 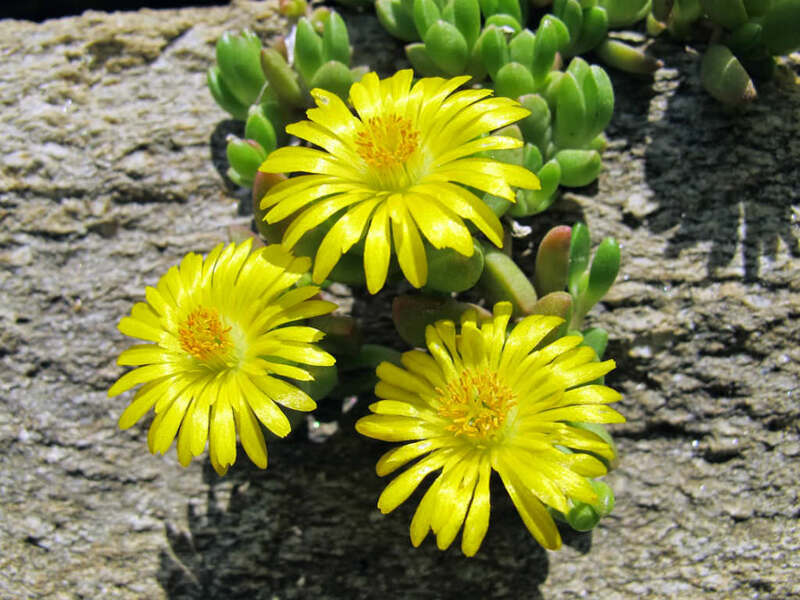 Delosperma flowers grow in USDA plant hardiness zones 5-9 and will bloom for most of the summer and fall. 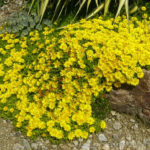 Their foliage is mostly evergreen and, because of this, they make a great year-round ground cover. While the plant is evergreen, it will often have some dieback of foliage in the winter. 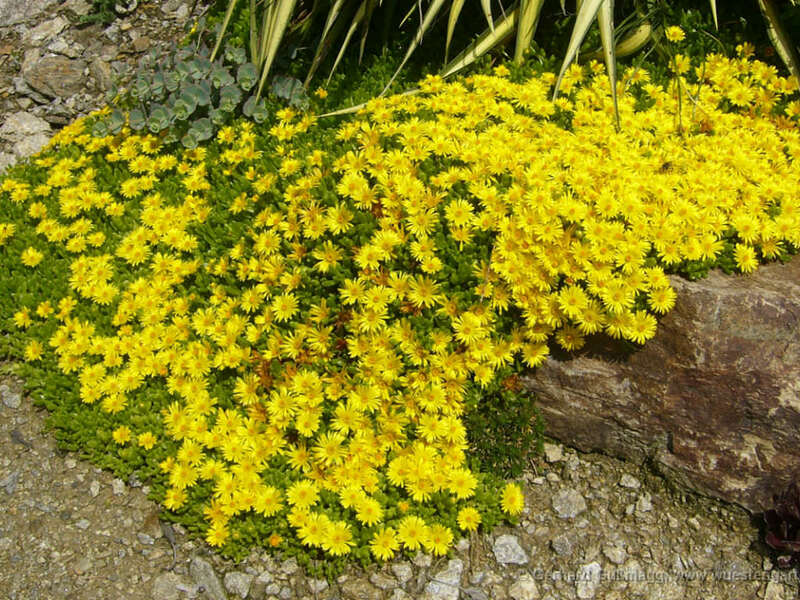 Delospermas prefer full sun but can tolerate some light shade in the garden. Because Delosperma are succulents, they do not tolerate wet soil, though they do well in poor soils. In fact, wet soil, especially during the winter months, is likely to kill the plants. 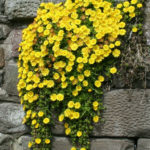 In areas where the soil stays consistently dry, this plant can become invasive, so it is best to take this into consideration when planting it. 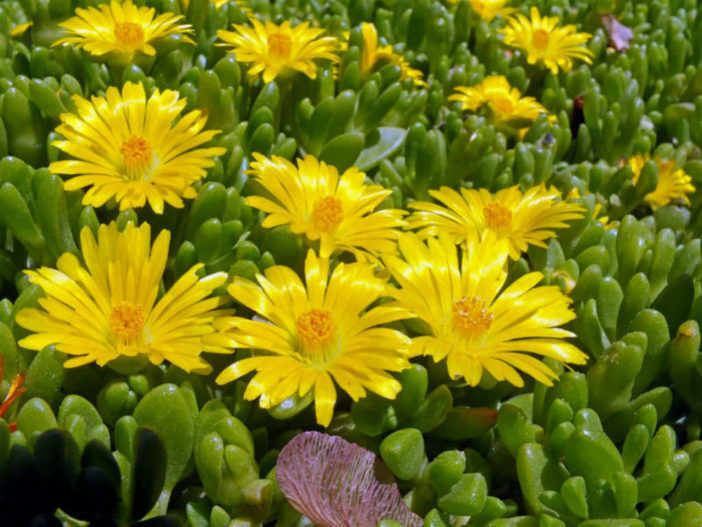 The Ice Plant can be propagated by division, cuttings or seeds… – See more at: How to Grow and Care for Delosperma.